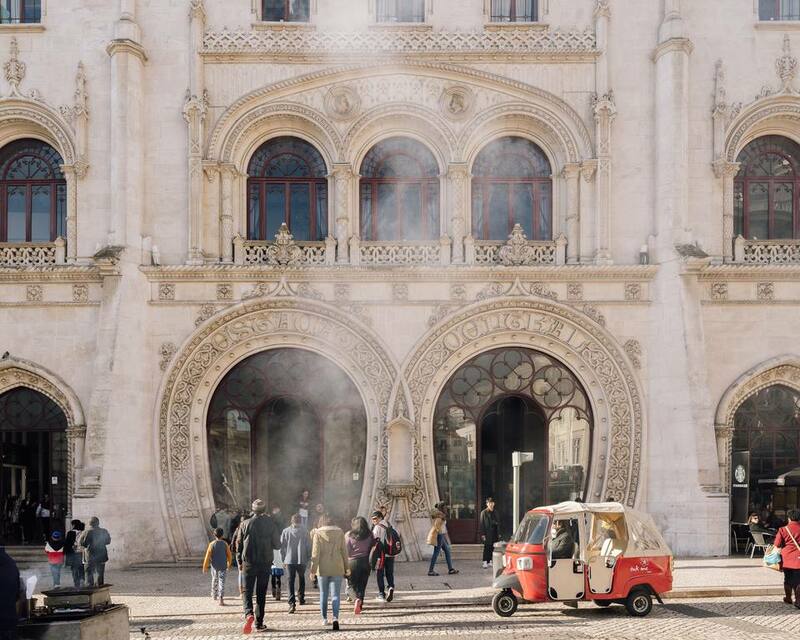 As Portugal's capital and largest city, Lisbon is well connected to the rest of the country, making it a good jump-off point to explore the rest of the country. Lisbon has a good metro system that connects with the train and bus stations below. If you plan on using Lisbon's public transport more than a couple of times a day, you may want to get a day ticket or buy the Lisboa Card. The trains to and from Sintra, Cascais, and Estoril are also included on the Lisboa card, as is discounted or free entry to just about every attraction in Lisbon. The Aerobus takes you from the airport to Praça Dom Pedro IV (Metro: Rossio) or to Cais do Sodre train station. Tickets cost around two euros. If your destination is Estoril or another nearby beach town, there are direct buses from the airport. Lisbon has two main trains stations, Santa Apolonia and Gare do Oriente. Many trains passing through stop at both stations, so keep that in mind when booking or checking timetables. For travel to? Trains to Spain and northern and central Portugal. For travel to: International (Spain and France), national and suburban destinations (Azambuja). Also a bus station. There are a few smaller stations throughout Lisbon that serve a few specific destinations, which are listed below. For travel to: Alfa Pendular, intercity and regional trains throughout the country. Fergus commuter rail to Setubal. For travel to: Mainly to northern suburbs. Fertagus commuter rail to Setubal. Also a bus station. There are several bus stations in Lisbon, but the one you are most likely to need is Sete Rios. For travel to: Long-distance national travel and international travel. Rede Expressos, Eva and Internorte depart from here. For travel to: Northern Portugal and Spain. Bus companies that depart from here include Renex, Internorte, and Avanza. Also a train station. For travel to: Northern Portugal. Mafrense and Barraqueiro Oeste buses depart from here. For travel to: Some Renex buses may stop at this more central location on the way to Gare do Orient.